Now we have another pin-up inspired beauty look that we're gushing over, especially for those with deep, dark tresses. When that second walk down the aisle comes to call – whether it be a vow renewal or another jump into a whirling romance – it’s okay to switch things up a bit and just go with what you love. Themed weddings and styles are perfectly appropriate for any of these celebrations of love and we’re here to show off some retro beauty for the bride to become inspired by! 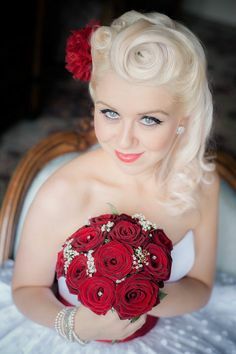 A classic, retro look, the slightly curled hair, the pin-up styled makeup, this bride is ready for her big debut! If you're looking to blend both modern and retro feelings, then this beautiful bride is the best type of inspiration! 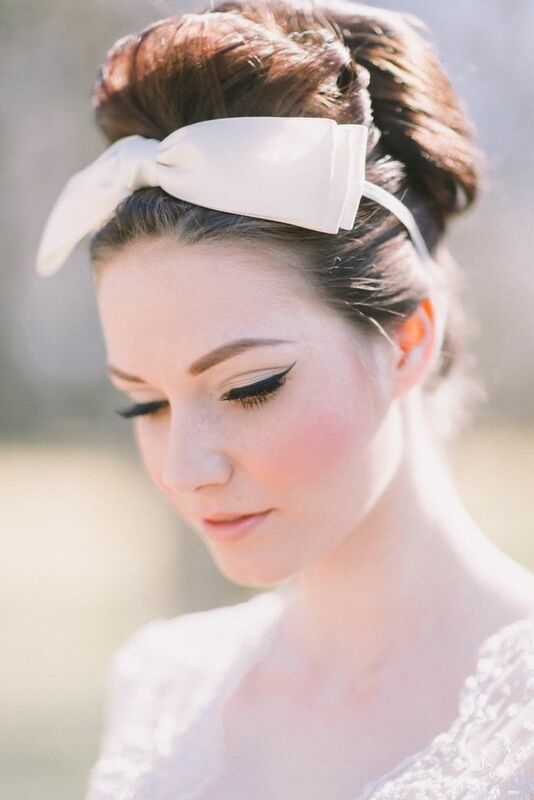 For a 50's vibe paired with a pin-up eye, this bride mixes them well with her subtle and flirty style. Topped off with a birdcage veil, this beauty has great inspiration for those wanting to recreate the look with a chic simplicity. 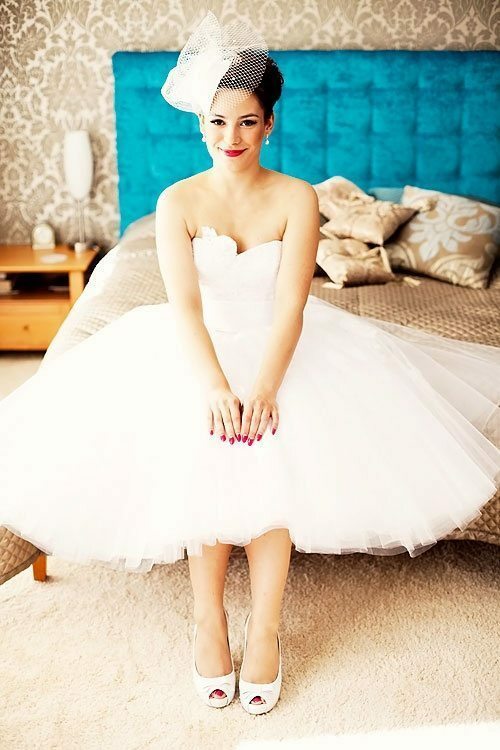 Here's another bride-to-be filled with modern flavor and a pinch of vintage, Marilyn Monroe makeup. Go the extra mile if you're planning and evening celebration, and dive deep into the Old Hollywood look like this bride did. This look is a bit 50's and a bit personalized too, perfect for inspiring those cultivating their very own vision from scratch. Second marriages and vow renewals work well with birdcage veils, it keeps the tradition alive without downplaying the sophistication. 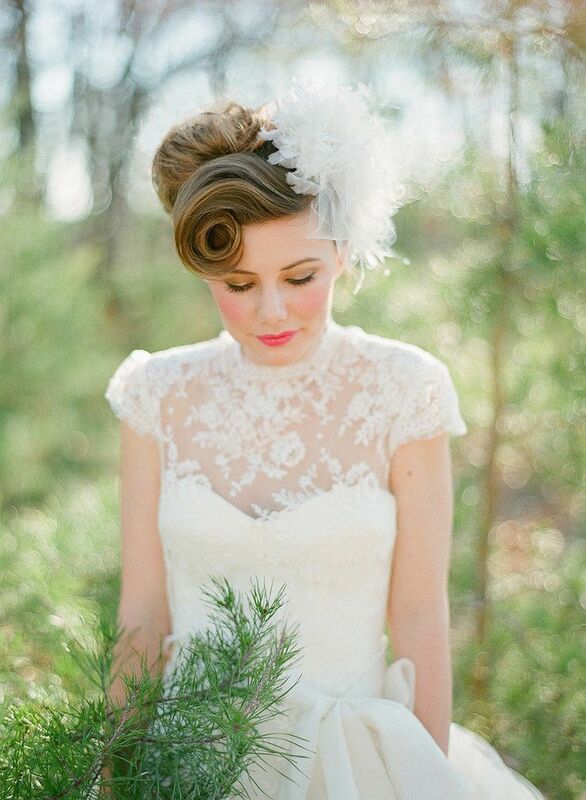 Here's a look that's make with bold style but also an innocence that's perfectly bridal.